Toto, We’re Not in Hamilton East Anymore! To be honest,this is only half true. The iconic Mavis & Co is still in Hamilton East, but we certainly were not in Ham East when we walked into Mavis this week! If you’ve managed to untangle our little riddle, you will have no doubt worked out that Mavis has indeed opened a second establishment across the bridge -and in the heart of the CBD. We walked in and immediately loved it. The all-white colour scheme (the brainchild of owner, Jane), mixed with green and warm lightning here and there (not to mention the blustery weather outside) made it feel a little like Christmas -and we certainly weren’t complaining! 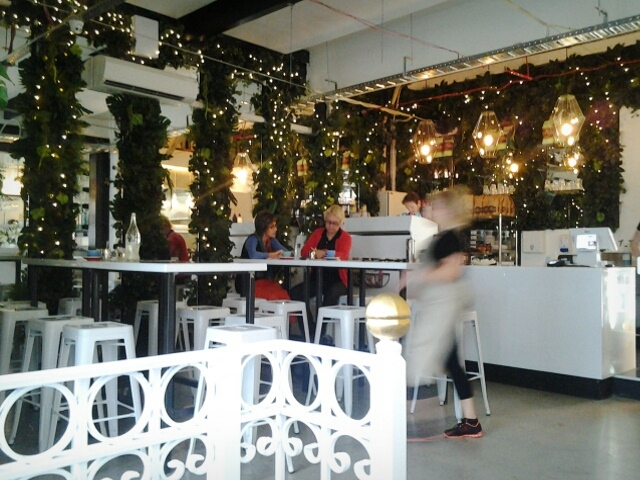 Mavis the Second is inconspicuously tucked away (as are all great cafes, right Milk and Honey?) on the ground floor of the beautiful red brick Wintec building, facing the wide-open plaza of the the new PwC building. Just while we’re on the topic of said plaza, we have to say: this is officially our new favourite public square in Hamilton! 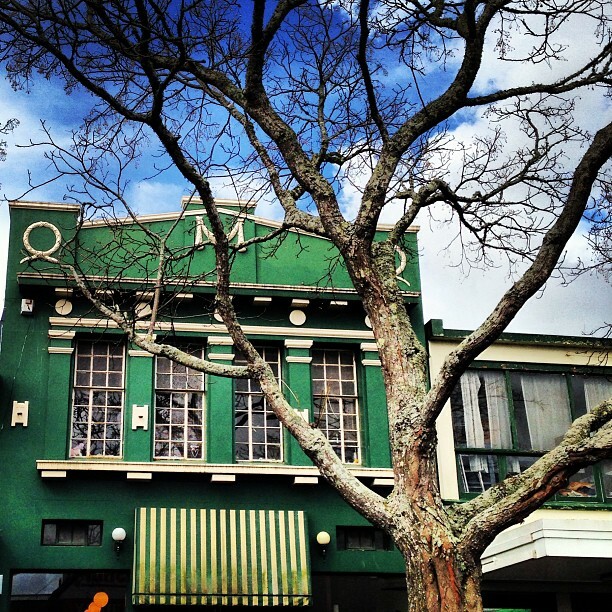 While Garden Place will always undoubtedly have a special place in our hearts, we’d love to see more events -maybe outdoor movies, markets or open mic nights -at the plaza on Anglesea. But we digress. The menu at the new Mavis is short, but eclectic and reminiscent of another great Hamilton institution: Scott’s Epicurean (okonomiyaki, or Jamaican ceviche, anyone?). Regulars at Mavis’s Bridge Street premises will recognise a similar vein of fun and interesting combinations to try. And, of course, who is Mavis without her Clarence? 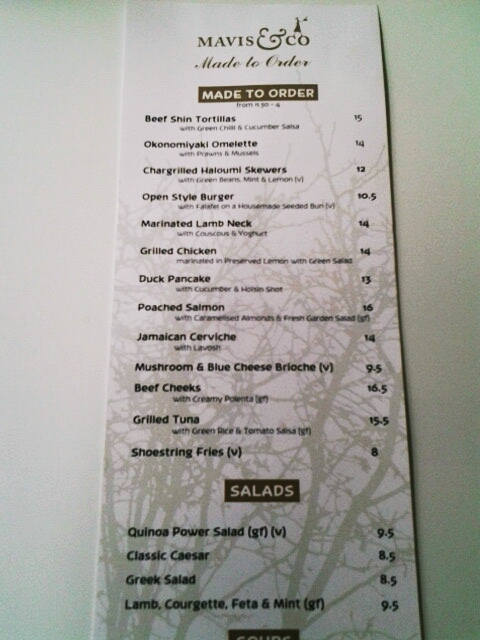 Word on the street is that this new iteration of Mavis will also be open in the evenings with a brand new after-4 menu. If the friendly service and delicious fare we received during the day is anything to go by, it’s a sure bet we’ll be returning after sundown! Midnight in Hamilton: the city’s historic rotunda under the bridge comes to life at night. Stunning, from @JMiddleton_imgs. Yin and Yang: @chamfy catches sunshine in her teacup on a beautiful August morning at @CoffeeandFood. 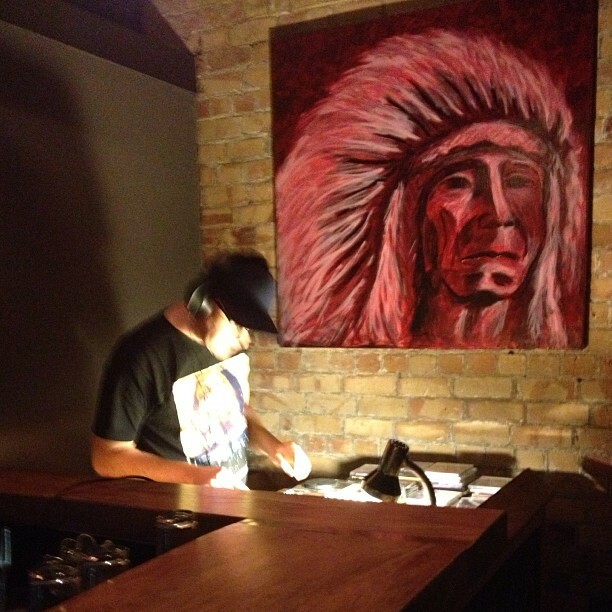 @jessvandy enjoys the sweet beats of Mr Neems at Wonderhorse Bar. 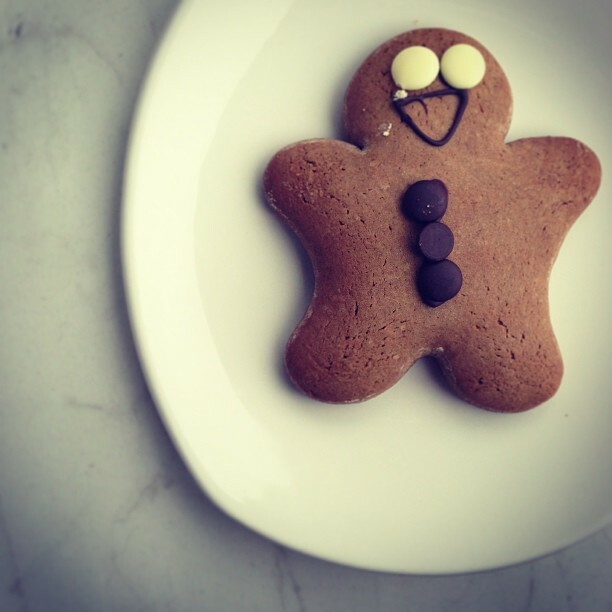 Ginger ninja: @ames_taylor catches the elusive gingerbread man and eats him at Mavis & Co.
We looked out of the window at Artspost and spotted fairies flying high above the Waikato river. Hamilton is kind of a big deal in the foodie world: @hornykitten finds an apron that confirms everything we already knew. @chamfy heads south of the border, down @mexiconz way and finds this eclectic collection of treasures. Dad of the Year: foster father to many, @darkroomjesse featured with his gorgeous family in @waikatotimes. Much #mafialove. 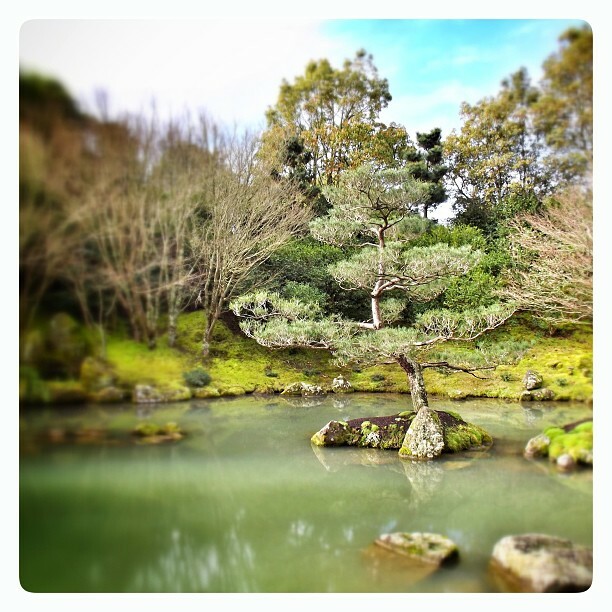 Serenity in the Tron: @teachernz spends some time in the Japanese Contemplation Garden at the Hamilton Gardens. Man about the bridges: the Fairfield Bridge through the eyes of @JMiddleton_imgs. A bird in hand: @kyleebeee spots 5 tui hanging out on a kowhai tree. Spring is in the air: @angelacuming enjoys Magnolias in full blossom. Scott’s goes Steampunk: @hornykitten orders green tea hops on board the Time Machine. East is east: We discovered this little slice of India on the east end of Collingwood Street. Pop in and immerse yourself in colourful traditional trinkets and garments from the East. What’s on in Hamilton: We love this colourful noticeboard at Gordon Harris in Casabella Lane! @chamfy spends an afternoon at the Hamilton Gardens and discovers stunning Hispanic art. 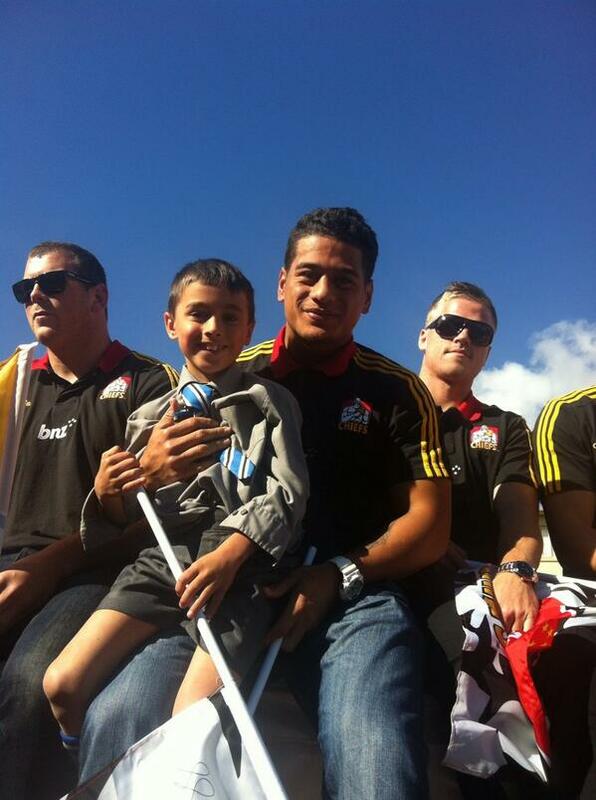 Hometown Hero: @WriteOnNZ snaps her cousin James with his hero Augustine Pulu at the @ChiefsRugby Parade. 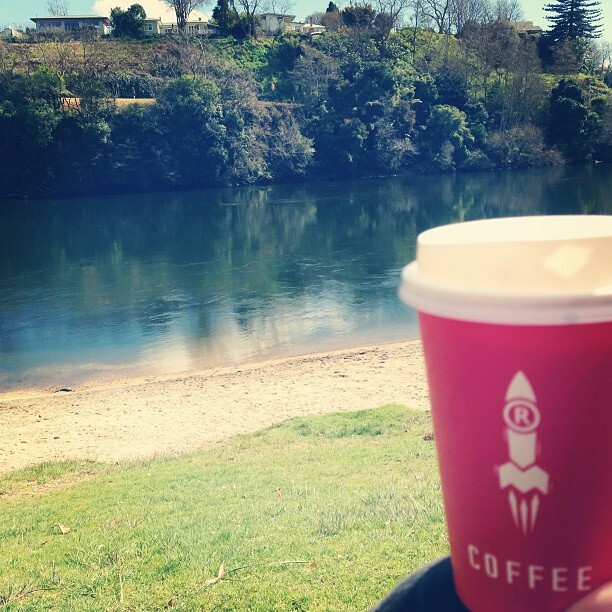 Team Rocket: @NZVic enjoys the first day of spring, riverside. @ebryantnz enjoys street sounds while wandering through the Frankton Markets. Gorgeous pieces from Thieves&Co at the @WintecSPARK markets. 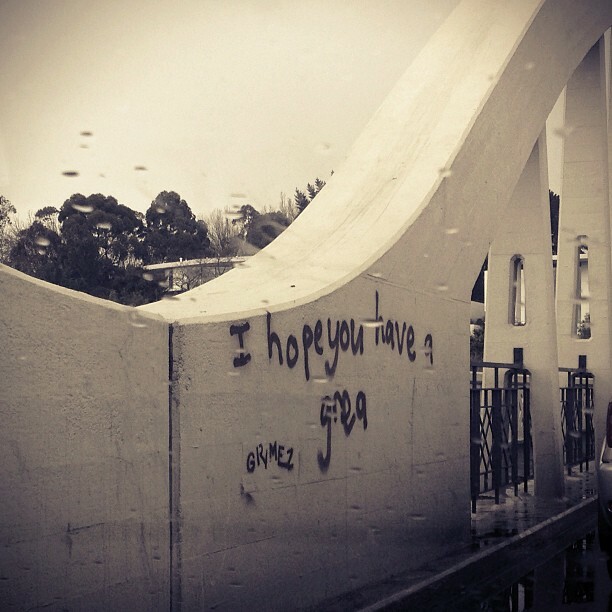 In a hurry: They may not have gotten the chance to finish, but the sentiment is clear. This from new Hamilton resident @tarasutherland. 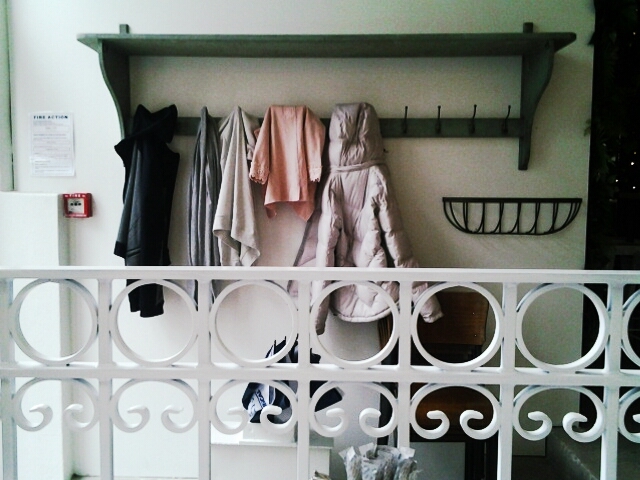 Prettiest little sushi shop: @ames_taylor goes for a wander around Frankton Village. @gsrwrc snaps the Hellmilton Roller Ghouls in action at the Roller Derby. ‘We are third-year Wintec students and our tutor thought it would be fun to display our work in public’. This was the very modest explanation that the nice lady at 128 Alexandra Street gave us when we popped into Brick by Brick on Hamilton’s Art Alley. The artwork in the pop-up gallery, however, is far from modest. Individually, the pieces are creative, thought-provoking and different from each other, with the piece de resistance paying homage to Toro building blocks of New Zealand childhoods past. Brick by Brick is eclectic and visually stunning. It’s free, it’s on until Sunday, and it’s a must-see for anyone craving a feast for the eyes. I live in the centre of the city and I like to think that I am generally aware of all the cool things happening in the CBD (and there are a lot of incredibly cool things happening all the time), so walking down Alexandra Street just now and happening upon two pop-up art galleries that I did not know about was a pleasant surprise! Draw Inc has two temporary showrooms displaying fresh, vibrant painting and sculpture, to coincide with the annual Wintec Media Arts Showcase. The bad news is that the exhibition is only open until tomorrow, but the good news is that if you drop everything to go to 113 Alexandra Street right now and have a look, you are in for a treat. Also, as an added bonus, it is right next door to Mr Milton’s Canteen. In my defence, I did not know Draw Inc was happening because I am currently off Facebook (where it seems the majority of promotion of the event seems to have happened). And in defence of promoting on Facebook and thus missing those of us who dare to defy Lord Zuck: PLEASE KEEP DOING IT! I loved coming across something I had no idea about, and then being able to delight in the discovery as much as in the artwork itself. We are fortunate to live in a city that is teeming with talented young artists, but this exhibition speaks more than just that. Its temporary nature is genius. It finds and makes excellent use of the much-moaned-about vacant shop-fronts and turns them into places that revitalise the city. By being ever-changing and thought-provoking and -most importantly -free to enter, it is accessible to everyone and anyone and it provides a much-needed break to the normal hum-drum routine of inner-city life. To discover that in our supposedly little city, one can never know exactly what’s around the corner – well, that’s one reason why I love the Tron. I find murals inexplicably boring, usually they are just happy scenes of city landmarks, weird symbolism or zany graffiti-inspired creations that could really be anywhere in the world. Usually they are just boring. What I do find exciting, however, is something really unique and collaborative. Something like the MindMap project on The Wintec Wall by artist Kim Paton. Kim got contributions from the public of words that they thought of when thinking about the city and from these contributions grew a mindmap unique to Hamilton. This video from the Wintec SPARK international festival media, arts & design shows the mindmap being put up over two days and is brilliantly mesmerizing. This temporary project will be up until January the 30th 2013, but hopefully will be the start of many more unique public art projects. It is definitely an idea to check this out before it gets removed, even just to see the unexpected ways which Hamiltonians think about words and their city.